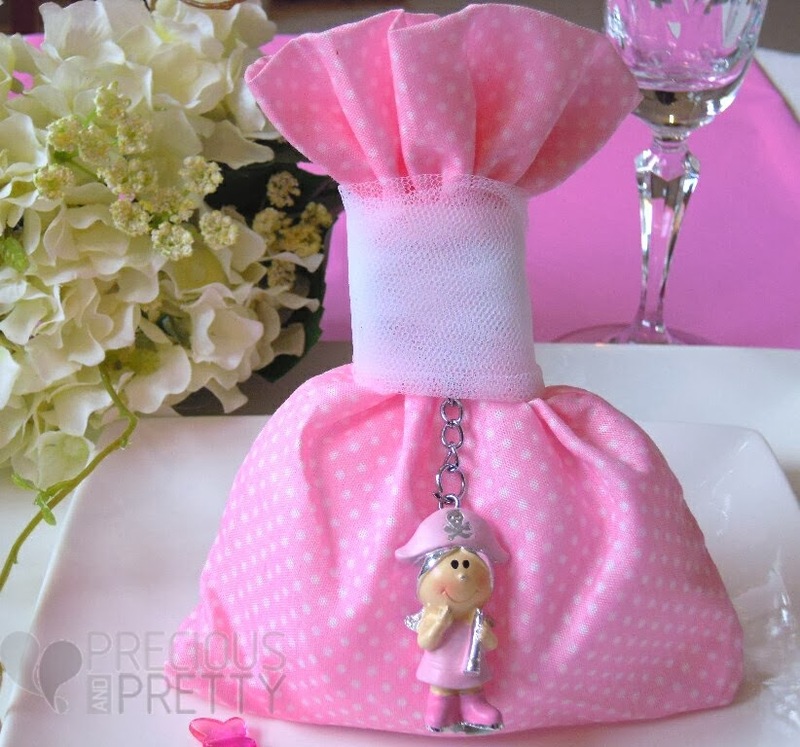 Pouches for baptism pink polka dot tied with white tulle and embellished with an elegant keychain with pirate girl in pink-silver color. The bomboniera contains 5 koufeta (sugared coated almonds). https://www.preciousandpretty.com/2014/01/greek-baptism-favors-pirate-girl.html Greek Wedding Favors|Orthodox Crowns|Stefana|Baptism Invitations Greek baptism favors pirate girl B035 a post about pouches embellished with pirate girl keychain which are used for the sugared almonds in baptisms Product #: Greek Wedding Favors|Orthodox Crowns|Stefana|Baptism Invitations_9098521196189608952 5 stars out of 5 reviews.